Built in the Spanish style this villa offers approx. 500 m² of living space on two levels. They are divided into living room with fireplace, a large kitchen, guest toilet and 5 bedrooms, each with private bathroom en suite. In addition there is a separate guest apartment with private entrance. The equipment of the house is very modern and decorated in bright colors. The villa offers air conditioning h/c and oil central heating. A three car garage is available, as well as three additional parking spaces. The villa is located in a prominent location of Bendinat on a beautiful land of about 1350 m². 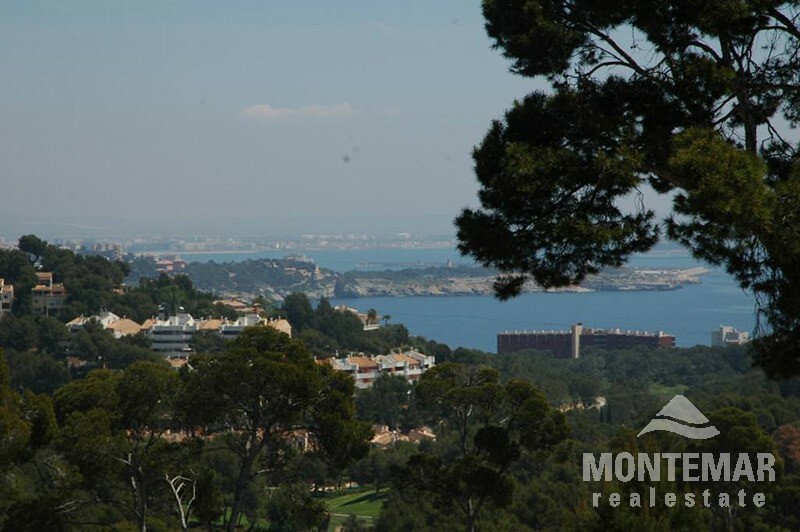 Adjacent to the castle of Bendinat the estate offers a nice view over the bay of Palma. The Royal Golf Course is located just minutes away from the house and also the marina of Puerto Portals is just minutes away by car. Short ways to Palma make Bendinat one of the most desirable locations in the southwest of the island.